1.1 There is hereby constituted on the 20th day of September, 1989 at 294 Colony Street, Meriden, Connecticut, an organization to be known as Connecticut State Police Academy Alumni Educational Foundation, Inc.
2.1 Purposes and Objectives: The purpose of the corporation is to raise money for current educational scholarships and endowment funds for future educational scholarships and to help support the Connecticut State Police Museum Foundation. In no year will scholarship awards be less than any income earned on endowment funds. The CSPAAEF will work with its sister organization, the Connecticut State Police Academy Alumni Association (CSPAAA) to realize these goals. 2.2 Educational scholarships will be awarded to students that are matriculated into an accredited institution of higher learning and will be used by the recipient to obtain a college education leading to an academic degree. 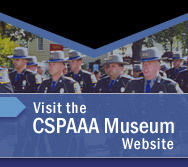 2.3 Educational scholarship funds and support for the CSP Museum Foundation will be raised by the sale of Connecticut State Police memorabilia including but not limited to caps, shirts, sweatshirts. Funds will also be raised by means which include but are not limited to private solicitations from individuals, businesses, foundations, and memorial donations. From time to time the corporation may hold events for fundraising purposes. 2.4 The Board of Directors may distribute funds to scholarship endowments and/or to the CSP Museum Foundation on a quarterly basis or as agreed to in a regular meeting of the Board. 2.5 The corporation is organized exclusively for charitable and educational purposes within the meaning of section 501(c)(3) of the internal revenue Code 1986. No director, officer or selection committee member may receive compensation for any services rendered to the corporation in the capacity as a director or officer. No assets or any part of the net earning shall inure to the benefits of any director, officer, or selection committee member. No substantial part of the activities of the corporation shall be the campaign or propaganda, or otherwise attempting to influence legislation, and the corporation shall not participate in, or intervene in (including the publishing or distribution of statements) any political campaign on behalf of any candidate for public office. 3.1 Directors: All corporate powers shall be exercised by the Board of Directors, except as otherwise expressly provided by law or by the Certificate of Incorporation or by these Bylaws. 3.2 The directors of the corporation, which shall not be less than 6 nor more than 10 in addition to the officers, shall be determined for each year by resolution at the annual meeting of the board of directors. The term of office of each director shall be two years or if appointed for the expiration of the term of director replaced. Each director shall continue in office through the annual meeting following her or his term, or until death, resignation or removal. 3.3 Directors shall be elected by majority vote of the board of directors at the annual meeting or at any regular meeting called and noticed for that purpose. The term of office of any director may be terminated at any time, with or without cause, but only by 2/3 vote of all directors then in office at a meeting called expressly for that purpose. 3.4 Annual Meeting: The annual meeting of the board of directors shall be held within fifteen days of the 15th day of June of each year at such place, at such time, and on such date as shall be determined by the President, and designated in the notice of the meeting. At each annual meeting the directors shall fill vacancies on the board of directors and may transact such other business as may properly come before the meeting. 3.5 Notice of the Annual Meeting: Notice of the annual meeting of the board of directors shall be in writing and shall be sent to each director at least two weeks before the designed time for each meeting. 3.6 Other Meetings: Other meetings of the board of directors my be held at such places and times as may be fixed from time to time by resolution of the board of directors. Notice of all other meetings must be given orally or in writing to the board of directors, and an accounting of said notice will be made at that meeting. 3.7 Waiver of Notice: Any meeting of the directors and any other action otherwise properly taken there at shall be valid if notice of time, place the purposes of such meeting shall be waived in writing before, at, or after such meeting by all directors to whom timely notices were not sent as provided by these bylaws. 3.8 Quorum: At least half of the seated directors shall be necessary and sufficient to constitute a quorum for the transaction of business at any meeting of the board of directors. 3.9 Except as otherwise expressly required by law or by these bylaws, the act of the majority of the directors at a meeting of the board of directors at which a quorum is present, shall be the act of the board of directors. 3.10 Directors or the corporation may simultaneously be scholarship selection committee members, however no member of the board or officer may participate on the selection committee if a qualified member of their family is applying for a scholarship. 4.1 Officers: The officers of the corporation shall be a President, a Vice President, a Secretary, and a Treasurer. 4.2 Officers shall be elected at the annual meeting and shall serve for a two-year period starting on the day of the election. 4.3 One seat on the board of directors shall be reserved for the President of the CSPAAA, or his designee, however this person may not serve as officer of the CSPAAEF or be chairmen of the board if one is elected. 4.4 Removal: Any officer may be removed with cause by resolution passed by the board of directors at any regular meeting of the board of directors, but only by majority vote of the directors then in office. 4.5 Resignation: Any officer may resign at any time orally or in writing. 4.6 Vacancies: A vacancy in any office caused by resignation or any other cause shall be filled for the unexpired portion of the term by the board of directors at any meeting. 4.7 President: The president shall be the chief executive officer of the corporation. He/she shall be subject to the control of the directors. He/she should have general charge and supervision of the affairs of the corporation. The president shall preside at all meetings of the members, and if no chairman of the board of directors is elected, at all meetings of directors. 4.8 Vice President: The vice president shall have duties and powers of the directors or president shall determine. The vice president shall have and may exercise all the powers and duties of the president during the absence of the president or in event of his or her inability to act. 4.9 Secretary: It shall be the duty of the secretary to perform all duties incident to the office of secretary including but not limited to the conducting of corresponding activities and issuing meeting notices. The secretary may also be required to perform such other duties as may from time to time be assigned to her or him by the president of the board of directors. 4.10 Treasurer: Treasurer shall keep a true account of all monies received and dispersed and pay all legitimate bills. At the annual meeting he or she shall make a full and correct reporting of the financing. In no case will funds be invested in other than bank depositories including checking or savings accounts or certificate or deposits or invested in treasury bills or notes or corporate debt securities grade “A” or better. The treasurer will work with the store manager, if one is in place, to ensure an accurate accounting of all inventory, deposits, and tax filings as well as liaison with the corporation accountant in addition to all other related duties so directed by the president. 4.11 Fiscal Year: The fiscal year of the corporation shall be from July I to June 30 of any given year. 5.1 Amendments of the Bylaws: These bylaws or any one or more of the provisions thereof may be awarded by changing, altering, suspending, supplementing or repealing the same at any annual or regular meeting of the board of directors at which a quorum is present, by majority vote of the directors at that meeting. 5.2 Consent in Lieu of Meeting: Any other provision of these bylaws to the contrary not withstanding, any action required or permitted to be taken at any meeting of the board of directors may be taken without a meeting if written consent to such action is signed by all members of the board. 6.1 Scholarship Committee: The scholarship committee shall consist of, but not be limited to the President, Vice president, Secretary, and Treasurer, and at least two other members of the Board of Directors. 6.2 Meetings: The scholarship committee shall meet at least once a year. The meeting shall be during the summer months preceding the fall academic semester to award scholarships for the fall academic semester. At these meetings the selection of the recipients of the scholarship awards shall be made solely by the scholarship committee. b. Persons who are related by blood or marriage to scholarship committee members, directors, or officers of the foundation are not precluded from applying for a scholarship award, but board members may not serve on the selection committee if they have a qualifying relative applying. c. The scholarship committee must disburse the scholarship awards in an objective and non-discriminatory manner. d. Scholarship award availability will be publicized by an annual letter and monthly newsletter mailed to Connecticut State Police Academy Alumni Association members and associate members. Notices of scholarship award availability will also be posted throughout the State of Connecticut Police barracks. e. Scholarships will be awarded to recipients at the meetings described in bylaw 6.2.
f. The corporation shall send a letter to the recipient explaining the educational purpose of the award. The corporation shall send with the above letter an acknowledgement from which the recipient shall sign stating that he/she realizes the purpose of the award. g. Failure of a recipient to use the award for educational purposes within one year of receiving the award will require to return the award to the corporation. 7.1 Dissolution Clause: Upon the dissolution of the corporation, the Board of Directors, after paying or making provisions for payment of all the liabilities of the Corporation shall dispose of all assets to a 501 (c )(3) organization formed primarily to assist law enforcement efforts in the State of Connecticut.